True to the Livi® brand promise, Livi Basic jumbo bath tissue offers better quality and greater value than competitive products in its class. Livi Basic jumbo bath tissue is made from sustainable, Virgin Plantation Grown, Rapidly Renewable Fiber (RRF), which produces a whiter, brighter, softer and greener product. This 2-ply Circle/Full embossed jumbo bath tissue delivers exceptional softness and quality while being economically priced. 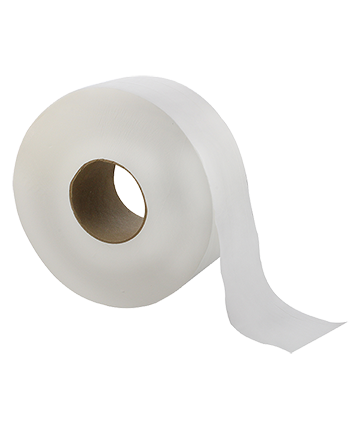 The Livi basic jumbo bath tissue is the ideal bath tissue for high traffic office buildings, restaurants and lodging facilities. It is a sustainable, quality product with in-use affordability for cost conscious applications.